It all began with a command from Isaac to his young son Jacob (whose name God YHVH changed to “Israel”): “You shall not take for a wife from among the daughters of Canaan [meaning, low people]” (see Gen. 28:1). Isaac knew that the Canaanites- the people of Philistia, from whom we have the name Palestinians ever since Jews were sent into the Diaspora, and the Roman emperor of the time renamed the region after their Philistine enemies- worshipped different deities, particularly Baal, and that they would lead many of Israel’s offspring astray. Yet there is another historical, panoramic, and nationally prophetic reason for Isaac’s fatherly restriction at the time of blessing his promised son, and the reason is that Israel/Jacob- in the Divinely orchestrated passages of him choosing his wives- foreshadows the Son of God (a.k.a. Jesus Christ/Yeshua haMashiach) selecting a “Bride” (i.e., covenant citizenship to reign with Him). When the Messiah returns, no Palestinian will be left in the Holy Land, but all who convert to Christ and remaining believers will be blessed for following only the true God (as opposed to cursed for following false deities); All Muslims will be cast out according to the biblical prophecies. 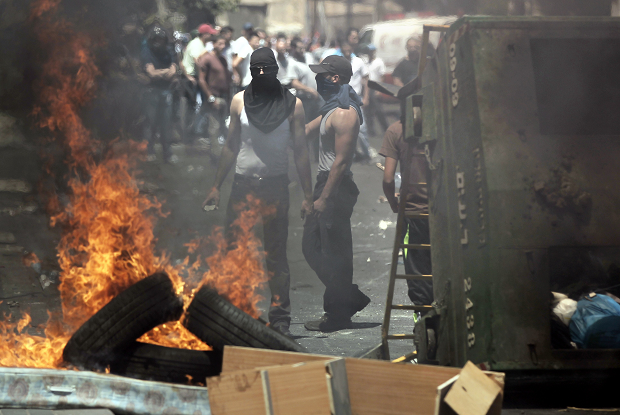 These dual prophecies- and we know they are dualistic (common in Isaiah) because the Palestinian remnant has not been altogether destroyed- will be fulfilled, and it should be heeded that God does not entertain the politically correct “two-state solution” of the renegade nations and their secular progressive leaders. 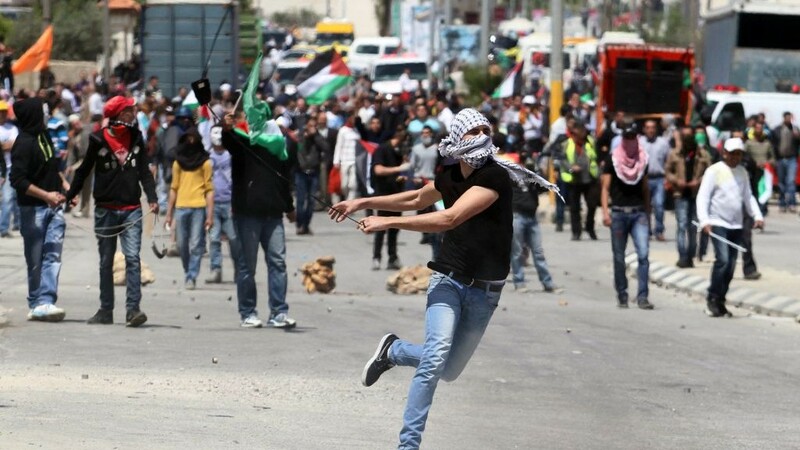 Those who do not escape Palestine and Islam and cleave to the covenants of the only true God, YHVH, and the House of Israel, have no future under the Messiah. Thus, I, the scribe, have written all of this to explain why Jacob (Israel) was not to take wives from land of Canaan. His father sent him to his own people to find a bride (Gen. 28:2). This was emphasised in Scripture because the marriage covenant was designed to foreshadow God marrying the land of Israel, with holy citizens united under the coming Messiah. Isaac, as a type of God the Father, sent Israel to Padan-aram, meaning high tableland, to the house of Bethuel, meaning filiation of Elohim, because only those who are affiliated to the biblical God through his covenants will be exalted as the Bride of Messiah. Thus, we have a clear distinction between two peoples at the end of the age: those who are brought low in their pride and the meek in righteousness who are exalted when Messiah returns to save Jerusalem and Israel from the children of the False Prophet Mohammad, and from the rebellious nations. Those who rebel choose their own fates, for an adoption of sons and daughters is offered by God into the commonwealth of Israel. Those who dwell in the land must again choose between God and Baal, and those who choose Allah can expect the Sword of the Spirit to fall sharply upon them. 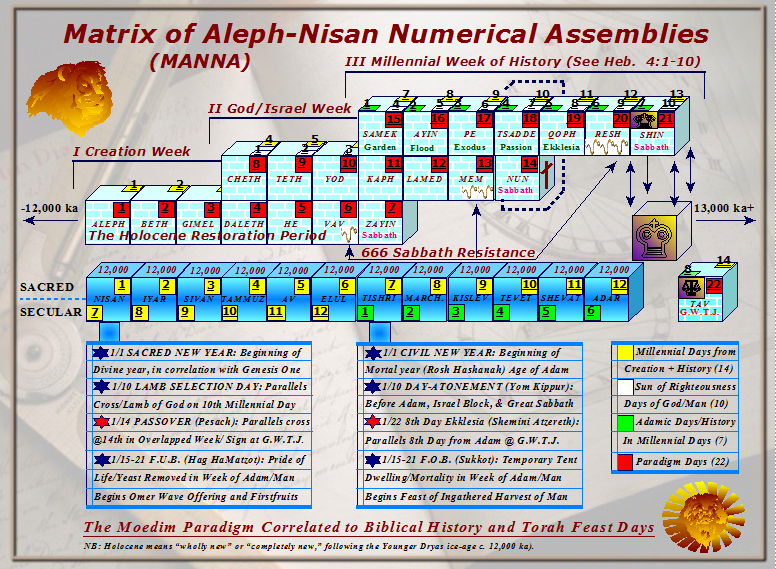 For those of you who have read my previous articles, you have likely seen the 22-millenniums template of biblical history and prophecy (completing the alphanumerical Hebrew alphabet) that I commonly call the “Moedim Paradigm.” The terminology suggests a coming paradigm shift in biblical eschatology and exegetics- how Bible-believers will interpret Scriptures in the future. Moedim means appointed times- a little-known term except by Hebrew-speaking Jews and Messianic Christians who keep the holy days commanded and commissioned by God in the Torah. 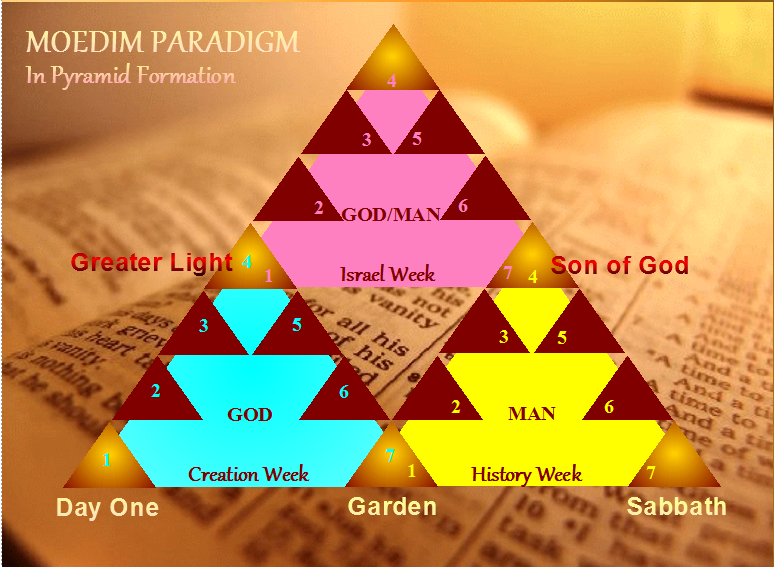 Unlike many biblical charts, graphs, and diagrams of time that can easily be found everywhere online, with attempts to justify various viewpoints on the Book of Revelation, mystical beliefs, or “Church Age” prophecies, the Moedim Paradigm is the only true, panoramic framework of all Scriptures (that which has been and that which shall to complete this age: the basis of Torah holy days, panoramic parables, messianic similitudes, numerous other biblical enigmas, and foreshadowing signs of the age to come). It consists of three overlapping, millennial weeks followed by a final millennial day, which can be discerned alongside the writings of Paul in Hebrews, Ch. 3 and 4. In literal millenniums, it covers 12,000 years from the Genesis restoration and replenishing of the world (God’s creation of the Garden of Eden, after the Younger Dryas) to the second coming of the Messiah (see previous articles on New Genesis Theory and Prophetic Genesis Theory). With Messiah’s millennial reign in Jerusalem added, it covers 13,000 years. Finally, it ventures into the beginning of the 14th millennial day and the great Battle of Gog and Magog (see Rev. 19:7-14), which is directly related to the final judgment (G.W.T.J.). In a previous article that I wrote on the prophetic measurements and times of Noah’s Ark, I draw-out theses three weeks with the dove (i.e. the Holy Spirit) searching for a resting place for the ark (symbolic for the Great Sabbath elect of spiritual Jerusalem). Indeed, I have worn my zeal thin in demonstrating this framework in various ways with Scriptures, yet this article will again explain it in another way and add a bit more support to its paradigm of time. The gist of the foreshadowing story of Israel going out to find a wife from among his own people is that Israel would actually have to work two weeks of years for two wives: the first according to the law of the land and the latter by a promise and the work of Jacob’s faith. Not only that, but the son of Isaac would receive several children from his wives’ servants, as concubines, and he would have to work six more years for the sake of his wives’ father, Laban. Hence, Jacob working for three weeks of years, departing into the wilderness on the 21st year, was orchestrated by God to show the entire millennial works of the Son of God is forming a covenant family from many people- not only Jews according to the Law of the land but also the desired/promised wife of faith with servants of the covenants. This is entirely the basis of the three millennial weeks of the Moedim Paradigm structure. The work done by God through Christ entails forming a family from Jews and Gentiles to restore the twelve tribes of the commonwealth of greater Israel. But not only has our Lord worked a week for each covenant people, but he has also worked a week in the beginning for the Father, in forming a paradise for them. At the appointed time, the two people and all the children of Israel will become one in the wilderness of tabernacles (the fulfillment of the shadows of Sukkot). Moreover, the people of God should consider that there are many things that are not being taught by Jew nor Gentile shepherds, but all things shall be restored to prepare a people for the coming of the Lord. These appointed times reveal the necessary steps to the coming Kingdom of Heaven, as the House of God on Earth. After Jacob received his blessing and instructions from his father, he went upon his journey- i.e., his wife-hunting quest- from Beersheba, meaning well of the oath/promise, through the wilderness of Haran, meaning mountainous. First comes the promise and covenant by the deep waters of the Word, and then comes exaltation of the meek and faithful in the fullness of appointed time. Bible readers may recall that Haran was where Abram answered the call to escape Babylon- the Chaldeans, meaning demons- when God called him out to the Promised Land (see Gen. 12:1-4). Abram was at first promised that he would be the father of a “great nation,” which we know to be Israel via the lineage of renewed promises. The world would be blessed through his Seed (the extended covenant of the Messiah). Then the Lord YHVH changed his name to Abraham and explained that he would be the father of “many nations” joined in the covenant. Thus, when we take a closer look at Jacob taking a similar journey through the wilderness of Haran, we conclude that even the smallest details of Scripture were orchestrated by God with prophetic parallels and panoramic purposes. Indeed, Jacob’s name would also be changed, and he, too, would receive a much larger family than what he had originally expected. It may be that Isaac, who symbolizes God the Father in this ancient quest for Israel, had a name meaning laughter not only because of Sarah the Princess initially laughing at the promise of receiving a child in her old age; it may suggest that God has the last laugh on the entire House of Israel- people who have not perceived His panoramic plan in building the family of God. Remember, while the Gentile woman was gathering two sticks for a humble meal for herself and her son, expecting death in the half-week of trials and famine, Elijah was predicting an overflow of the oil of Spiritual anointing and an increase in the nourishing, sustaining meal of the Word. And as Prophet Ezekiel was shown, indeed two sticks will be refined in tribulations from death to life, until they are raised as one people and one flock from many folds, with the whole House of David resurrected and restored. Sometimes we get more than we expect and perceive with natural eyes. Sometimes joy follows sorrows, and such is the case of what shall be with the whole Household of God. As is often the case when people must leave loved ones behind and dwell in solitude, they draw closer to God with spiritual awareness. The Lord appeared to Jacob in the loneliness of the wilderness, but his message was that that he would receive a very large family, even as the dust upon which he rested. Again, it was a promised increase, just as Abraham received a promise that his descendants would be as the stars of heaven (Gen. 15:5). The dust of the earth and the stars of the heavens indicate a union between both Heaven (spiritual) and Earth (corporeal). The fulfillment of the Word of God is not merely a promise of joining the family in death, but it is spiritually manifest on Earth, just as New Jerusalem comes down out of Heaven to Earth. Moreover, the spiritual things are blueprints of God’s work in building a blessed Kingdom and elect family in this world. One believer might say, “I am spiritual Israel by the promise and faith,” and the other might rebut, “I am a true Israelite in the flesh with a lineage on Earth,” but God joins together the faithful of Earth and Heaven, fathers and children, spiritual and corporeal, patriarchs and matriarchs to sons and daughters. While Christian denominations ever-splinter into new groups to feign themselves as the true elect, and while practicing Jews oftentimes pride themselves on their fleshly inheritance to remain exclusive, God yet laughs. He will bring down the mountains of religious pride and lift the meek valleys as one people who shall embrace His covenants in faith and obedience to His Word. They will be set straight in their doctrines as the wilderness is prepared for the coming of Messiah. And for those who do not listen to Elijah and yet harden their hearts, their only recourse is an ultimate curse of utter destruction (see Mal. 4:5-6). 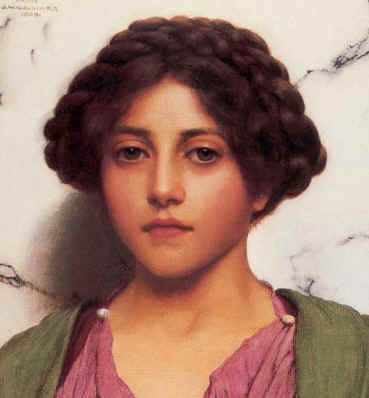 Indeed, we would all do well to show our love for all the brethren, including sisters of the faith, and count the promise of an innumerable multitude as a blessing from God, as Abraham and Jacob did, lest we find that in our pride and refusal to reason we are cast outside of the gates to knock in vain at Heaven’s door. Still, the questions remain: ‘Why did God show Israel a vision of a ladder, with angels ascending and descending, when promising him the Holy Land and such a large nation of descendants? Do angels really need a ladder to traverse back and forth from Heaven to Earth?’ I think we all know better. 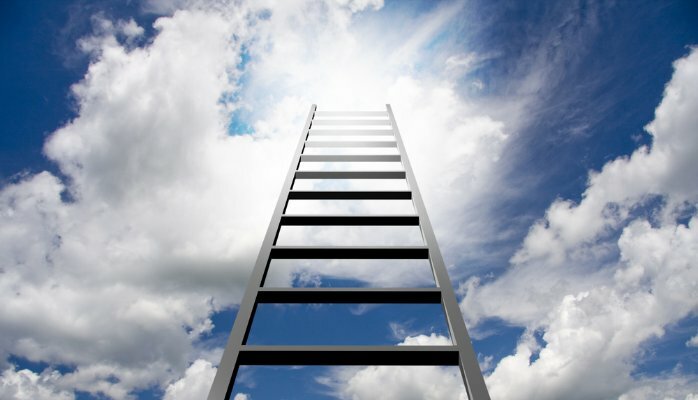 A ladder is a series of steps in reaching the glory of the Lord- the High Calling. Angels are messengers, be they spirits or inspired people who are sent to share the Word. By implication, the message of the vision is that the messages of God come from Heaven to Earth in a series of steps, over time, and those who aspire to reach the House of God must take the time to climb to greater heights. The dream may also indicate that spirits come and go from Heaven and Earth, dying and being born again in the steps of life. But this will be covered in another article with scriptural support. Finally, the vision may allude to all of the faithful of Israel being called to the wilderness during the Apocalypse night, when we seek the promised Sabbath of rest; perhaps, like Jacob, our spirits will then be awakened to Heaven as we yet dwell in the flesh on Earth. Further, several truths may be suggested from the one revelation. What we do know for certain is that the inspiring revelation of God and His messengers ascending and descending has to do with the Promised Land and the families of the world being blessed through his Christ. 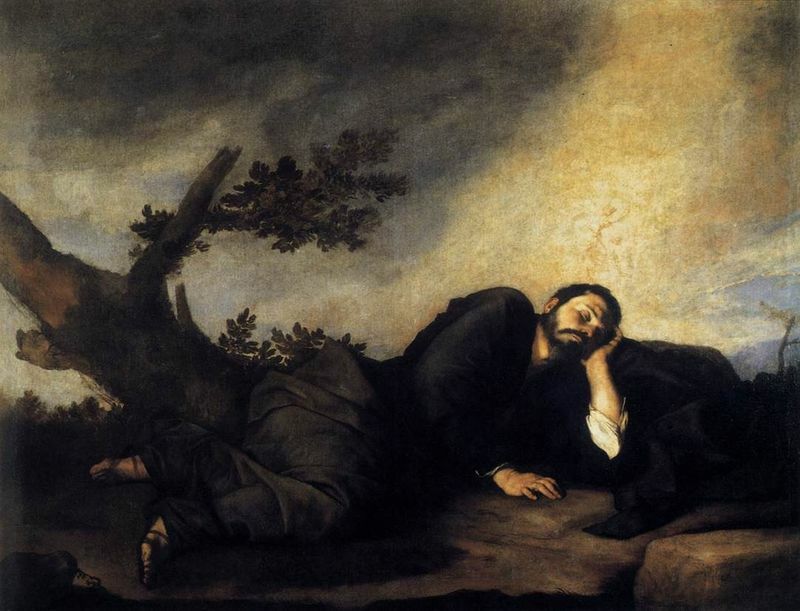 Note that the Lord seeing Nathanael dwelling under the fig tree was a prophetic, messianic sign that alludes to the day when God finishes gathering all of Israel, and they call their family and neighbors under the fig tree (see Zech. 3:9-10). 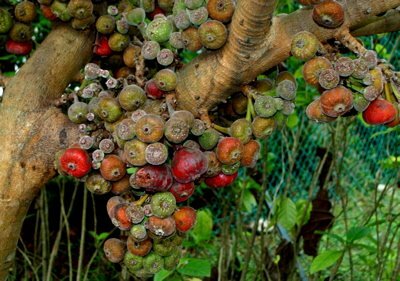 In prophecy, the fig tree often represents Israel. Hence, Christ was telling Nathanael that not only did He see him when he thought he was alone, but the One who called him is the true Yeshua of seven eyes of the Spirit. 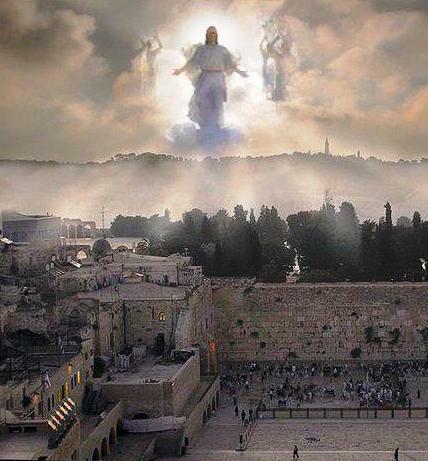 As for the fulfillment of the promise, Christ’s disciples twice saw Heaven opened: The first time was when Peter, James, and John had a vision on a high mountain in the wilderness (Mount of Transfiguration), wherein they saw Christ’s coming glory during the Feast of Tabernacles (Sukkot). In that vision of the coming glory, God spoke and told them to listen to His Son, and Moses and Elijah (the two witnesses of Revelation who unite the people) appeared and talked with Him. In the latter fulfillment, the heavens were opened and Messiah’s disciples witnessed him ascend into heaven, with two mysterious men in white garments explaining that Christ would return as He left (see Acts 1:5-12). When we add all these things together, they suggest the coming marriage of the Lamb to a called people in the wilderness. Therefore, what Jacob saw was the Great Sabbath to come and the Household of God coming down to Earth, even as Israel awakens to the Truth. I, the scribe, cannot go into every prophetic implication and foreshadowing of messianic details for the next seven chapters of Genesis, until Jacob is commanded to return with his family to Bethel to set up an alter to God (Gen. 35:1), lest I write an entire book rather than an article. However, I will summarize these things and leave them for readers to search out. The story of Jacob’s journey resumes with another great stone set before him- one in a field that covered a well (29:1-3). For the shepherds of the land, it was where they would gather their three flocks to water them. When the great stone was rolled away, they could draw water, and then the stone would be rolled back into its place until the next appointed time. These sheep allude to three flocks of Israel being gathered together and the water of everlasting life given on the third millennial day since the cross. Hence, Christ told a Samaritan woman sitting at a well that people will thirst again for regular water, but He had the waters that spring forth for everlasting life (see John 4:10-14). We know these as “living waters” and the “river of life,” and other such terms that illustrate the everlasting life we are offered in the New Testament- the Gospel of Salvation. And it is probably no coincidence that the fresh waters of the Word began to be preached after the resurrection, when the great stone of Christ’s tomb was rolled away and He began to appear to encourage His disciples with the good news. Indeed, a stone covering is yet another indication of messianic prophecy (see Zech. 4:7). Another thing to consider is that the Stone of Israel, Christ, had to be removed from His place as King for the people to receive the Gospel of His sacrifice, but He will return to His rightful place on the third millennial day, with all the sheep who thirst after righteousness satisfied. Just as the children of Israel had to throw a tree into the bitter waters of the Law in the wilderness, to freshen it and save them on their journey to the Promised Land, we must receive the sweet waters that come via the cross of Christ’s sacrifice. Jacob then met with some shepherds of Haran and asked them if they knew Laban bar-Nahor, meaning white slumbering, and they replied that they did and that he was well. In fact, they informed him that Laban’s daughter was approaching with his flock of sheep. As the text reads, the shepherds then resisted Jacob’s request to water and feed the sheep before the evening cattle were gathered, for all the sheep were normally gathered at one time before the great stone was rolled away. 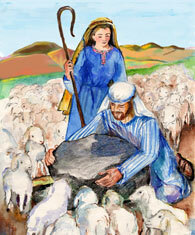 But when Jacob met with Rachael and saw the sheep thirsty, he rolled away the stone and watered them nonetheless. This reminds me of the passage where Christ said, “Take away the stone,” as He went to raise Lazarus on the fourth day, although Martha and others believed that the dead could only be raised at a certain time, at the last day of the millennial week. Christ reminded them that He has the authority and power to give life or sustain life whenever He chooses. I am not sure how much should be gleaned from the short account, but it should be noted that shepherds are often synonymous with religious leaders of God’s flock in Scriptures (e.g. priests, rabbis). Apparently, the shepherds only wanted to water and feed them when they were all gathered in a congregation, at specific times. The lesson we learn from Jacob, and indeed much later with Christ, is that love and compassion should compel spiritual leaders of the people to preach and encourage others any time of the day. “He who comes to Me shall never hunger, and he who believes in Me shall never thirst,” said Christ (see John 6:35). 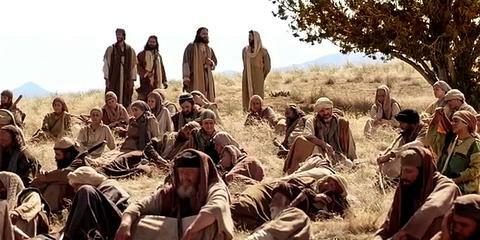 As we read the Gospels, it takes little discernment to perceive that Christ and His disciples approached their ministry and preached to the people in an entirely different manner than the somewhat haughty and self-important priests and rabbis of the time (resulting in God YHVH destroying the priesthood and the Temple in that generation). After hearing Jacob’s good tidings (his gospel) and a month of lodging, Laban approached his nephew and asked him what seemed appropriate for his wages, rather than Jacob serving him freely (29:15). As was custom in those days, Hebrew men paid a dowry to the fathers of the women whom they wished to marry, and Jacob favored the younger, more beautiful of Laban’s two daughters, Rachel. Accordingly, his older daughter Leah was a bit on the earthly side and homely, and apparently she found little favor in Jacob’s eyes. So Jacob proposed working for Laban for seven years for Rachael (29:18), and although Laban agreed, there may have been an early sign of reluctance in his words: “Better that I should give her to you than I should should grant her to another man.” With that, the bridegroom worked for seven years for his future father-in-law, although they seemed but a few days to Jacob because he loved her so. Here we find that God indeed has a sense of humor; we humans didn’t gain it out of thin air or by evolutionary happenchance. And, of course, God must be just, even if we don’t realize it when we are reaping what we sewed, be it in this life, in the afterlife, or in another. You see, Jacob was a bit of a trickster himself- a heel catcher or supplanter– and he tricked his older brother out of his father’s blessing and inheritance (27:1-35). Also, by feeding his hungry brother- after him hunting long in the field and starving- red pottage and bread, Jacob gained his birthright (25:34). Indeed, it must have been humbling when Jacob awoke the next morning to find that he got a bit more than he had bargained for. In fact, he got someone altogether different than he had desired during the seven years of his servitude. Jacob had tricked his own father when his eyes were failing, but then his father-by-law tricked him when he could barely see in the night. 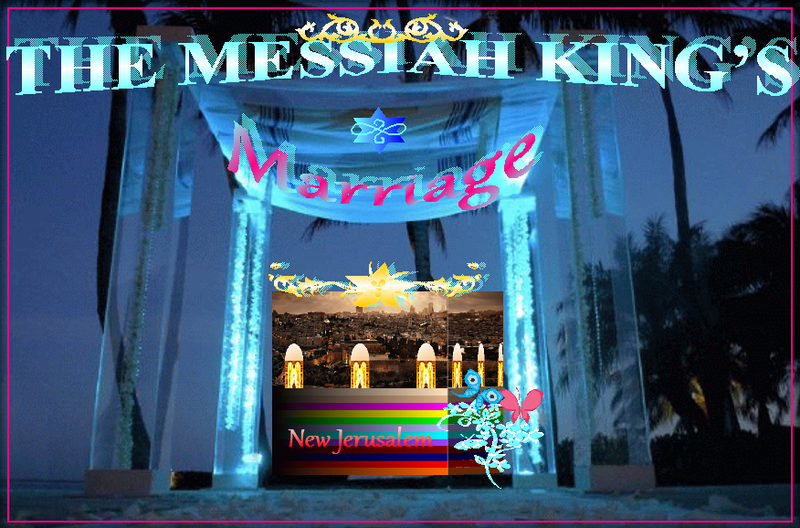 As for the nation of Israel, they made a covenant with the Father, likened to a marriage (see Jer. 31:31-33), and God worked to deliver and teach them in truth and righteousness; but then Israel rejected God as their King and Husband and selected Saul to reign in His stead (cf. 1 Sam. 8:4-8; 1 Chron. 29:23). And the saga continues when Jews tried to make Yeshua King of Judea by force, but He escaped them, and the covenant of the Bridegroom went out to the Gentiles with Jewish leaders rejecting the cross. Thus, the Lord first made a covenant with Israel, which He repeatedly said “wearied” Him and themselves with their rebellious ways (cf. Isa. 1:14; 7:13; 43:23-24; 47:13; 57:10; Jer. 4:31; 12:5; 15:6; Mal. 2:17). Likewise, Jacob first received Leah, which means weary. God desired a faithful people of covenant, but he received a people who worshiped other gods, had little faith, and became ill-favored in His eyes. With Leah we find a wife who was given according to the law of the land, which looks to earthly Israel before the Diaspora. But in these last days the Lord has been working for a desired people of faith and promise- Jews and Gentiles of a new Jerusalem that comes down from the Father as a citizenry Bride for the Great King. After Jacob accepted the switch, he worked seven more years, totaling fourteen, and received Rachael as a wife, and her handmaiden was her younger sister Bilhah, meaning meek or perhaps even timid. During that time, the Lord saw that Leah was hated. Therefore, he blessed her for her affliction with a son, Reuben, followed by Simeon, Levi the priest, and Judah- the tribe of the Savior. Then began the competition for who could have more children for the love of Israel, and Rachael, envying her sister, gave Jacob her handmaiden Bilhah for a concubine. And this came after she pleaded with Jacob for children in anguish of death, whereby he exclaimed, “Am I in God’s stead, who has withered the fruit of your womb?” But Bilhah had a son for Rachael, whom she named Dan since God judged her childlessness. Bilhah thereafter had another son, Naphtali, meaning that Rachael prevailed in striving with her sister Leah. This was followed by Leah then making her handmaiden Zilpah a surrogate wife, and she bore Gad, a trooper, then Asher. After that, Rachael, who had the greater love of Jacob, traded his husbandly service for a night for Leah’s son’s mandrakes from the wheat harvest, which was the night she conceived of her fifth son, Issachar. Finally, Leah had her sixth son, Zebulun- from whom came the tribal allotment where the Ark of the Covenant was hidden, along the rocks close to where the Sea of Galilee meets the Jordan. 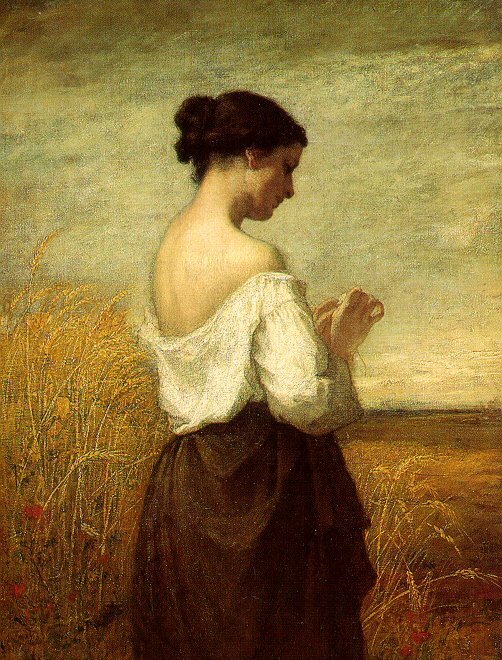 Yet, Leah had one more child to give, only the seventh and final was a daughter. And this was for a sign, for on the seventh millennial day from Adam, the Great Sabbath, the Daughter of Zion, the Bride of Messiah, will sit in judgment of the nations with the Great King. Up until that time, Jacob had eleven children, and then Rachael had Joseph. Later, Rachael would have a last son and child of Jacob, Benjamin, the twelfth of the sons. Benjamin, however, would not be born until after their wilderness journey home. While Jacob was ready to return home after two weeks of years, God was not finished blessing him with substance. Nor was the panoramic paradigm of time complete. A third week was needed in service to the father of the wives, which would indicate the creation week. Not only that, but a separation of the flock of God and Israel from the lesser flock left behind had to be demonstrated. It was necessary for Jacob to work until the 21st year, for the wilderness gathering for the Great Sabbath comes at the end of twenty millenniums.